ILEX Gallery is proud to present the first Rome exhibition of Vivian Maier’s work with over 30 silver gelatine prints.Vivian Maier (1926 – 2009) was an American street photographer born in New York City. 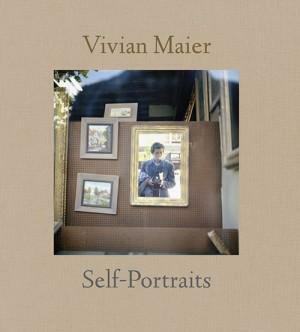 A nanny by trade, Vivian Maier’s photography was discovered by John Maloof at a local auction house in Chicago. Over the course of five decades, she would ultimately leave over 2,000 rolls of film, 3,000 prints and more than 100,000 negatives, most of them shot with her Roleiflex in Chicago and New York City and shared with virtually no one in her lifetime. Her black and white photographs provide one of the most fascinating windows into American life in the second half of the twentieth century. When the Irish rock band U2 released the song “Where the Streets Have No Name” in 1987, singing against the anonymity of divided and divisive societies, where one’s street address, accent, skin color, gender, mental state, or clothing can determine how we value that person’s life and her personal achievements, an unknown female photographer was taking what were probably her last images in the streets of Chicago at the end of a very long and prolific pursuit of a documentary practice. Her work can stand next to the greats of 20th century street photography. Her own name, Vivian Maier (1926-2009, American), ought to be included in the annals of street photography. She was an equal opportunist, portraying people from all walks of life, yet with the critical mind and eye of a politically conscious observer. Many of her images have entered our collective memory by now. Her best photographs will stay with us forever and will remind us about the humble nature of pursuing truth on the streets with a camera. It is hard work that rarely pays off. In 1987, U2 sang, “I want to run, I want to hide, I want to tear down the walls, that hold me inside. I wanna reach out and touch the flame. Where the streets have no name.” Vivian Maier has done that.